Home / Freebies / Free Stuff Online / Giveaways / How to Clean Make-Up Brushes | Enter to Win a $50 Walmart Gift Card! How to Clean Make-Up Brushes | Enter to Win a $50 Walmart Gift Card! Today I am going to tell you my favorite use for Palmolive – How to Clean Make-Up Brushes. 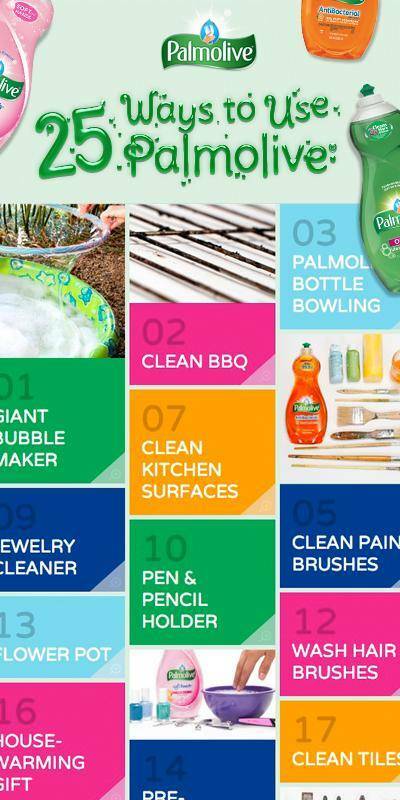 But first, check out all 25 Ways to Use Palmolive! There is also an exciting sweepstakes going on where you can help Palmolive pick the next great Palmolive dish liquid or submit their own unique use for Palmolive for a chance to win weekly prizes and a grand prize that is a $2,000 Walmart Gift Card! Weekly prizes consist of a Palmolive Kitchen Essentials Basket including cookware, flatware, dinnerware, cutlery, toaster oven, blender, cookie sheets and Palmolive! So here is where it gets fun! I am going to tell you about one of my personal favorite uses for Palmolive! When was the last time you cleaned your make-up brushes? Don’t worry, the answer might be never, or last year, or 6 months ago. I’ll tell you the one main reason you should clean your make-up brushes – Bacteria collects on them – and who wants to spread bacteria on their face and back into their make-up? You got it, NO ONE! SET UP: Add a dab or two of Palmolive to a clean, damp sponge then wet your dirty makeup brush and rub the brush back and forth on the surface of the sponge. When you’re done cleaning, rinse the brush with warm water and lightly dry on a paper towel*. *Keep out of the reach of children. Rinse hands after use. You don’t need to toss those used brushes you spent your hard earned money on. Just give them a quick clean using the method above and they’ll be as good as new! GREAT NEWS! Enter to Win a $50 Walmart Gift Card! This Giveaway is sponsored by Lunchbox, LLC. If you are chosen as the winner you will be contacted directly by Lunchbox, LLC. Complete rules and regulations can be found in the Entry Form. Disclosure: This is a sponsored post written by me on behalf of Lunchbox, LLC. I was compensated for this post, however all thoughts and opinions are my own. Win a $500 Walmart Gift Card from Microsoft and Walmart!